Portugal coach Fernando Santos is convinced that Spain will still go far at the World Cup despite the turbulent events of the last 48 hours, as the sides prepare to meet in their opening game on Friday. The Iberian neighbours clash in Group B in the Russian Black Sea resort city of Sochi, with Spain in disarray after coach Julen Lopetegui was sacked on Wednesday, following the announcement that he would be leaving for Real Madrid at the end of the tournament. Fernando Hierro has been hastily put in charge of the 2010 World Cup winners, adding extra spice to what was already billed as the standout game of the opening round. "They will have a great coach in charge in Fernando Hierro. I am not sure exactly what is going to happen, what team he will send out, but I am sure they will have a great tournament," said Santos at the Fisht Olympic Stadium on Thursday. 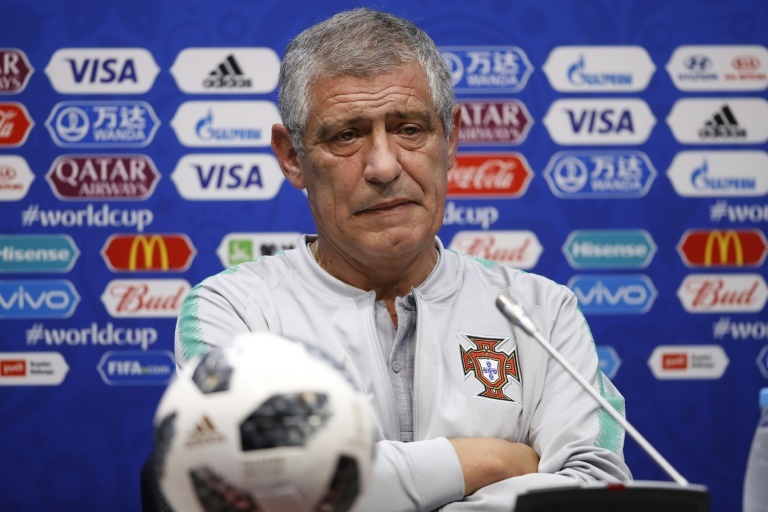 However, Santos is also clear in his belief that Portugal will not be caught out by any surprise Spanish tactics following the last-minute upheaval. "Spain have had the same style for a decade now so I don't think we will have any surprises, what matters is that the teams just get on with it now." Cristiano Ronaldo's Portuguese side come into the game as the reigning European champions. They are at full strength as they look to achieve something they have not managed at a major tournament since Euro 2008 -- win their opening match. They have not beaten Spain at a major tournament since Euro 2004, when as hosts -- with a teenage Ronaldo in their ranks -- they won 1-0 to eliminate their neighbours in the group stage. "This is a 'Classico'", said Santos. "We are two countries who have a lot in common, not least the fact we share a border. We are neighbours, but also teams with great quality. "Spain are extraordinary opponents. I don't think they will change overnight. But we are focused on our strengths. We will take into account those of Spain, and also their weaknesses, because there are no perfect teams. "We don't want to be arrogant but we are full of hope."